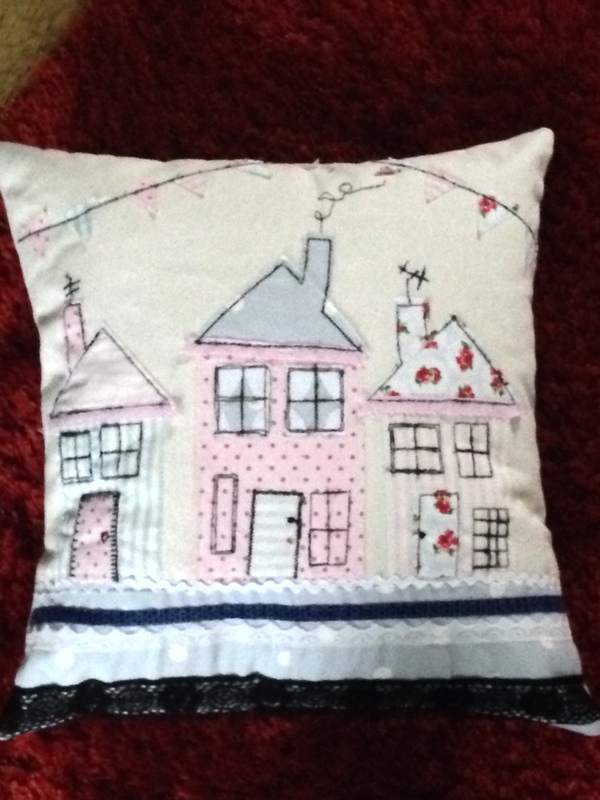 Handcrafted by me… fabric, paper, home decor & multimedia – Page 2 – sewing, stitching, papercrafts , painting, home decor & multi media. Made to order, by me. Guess who is sitting on the naughty step? Happy New Year, I know the greeting is a bit late but forgive me. Please??? I have had lots to do, and I’ve been remiss not posting any pictures or blog of what I’ve been up to. 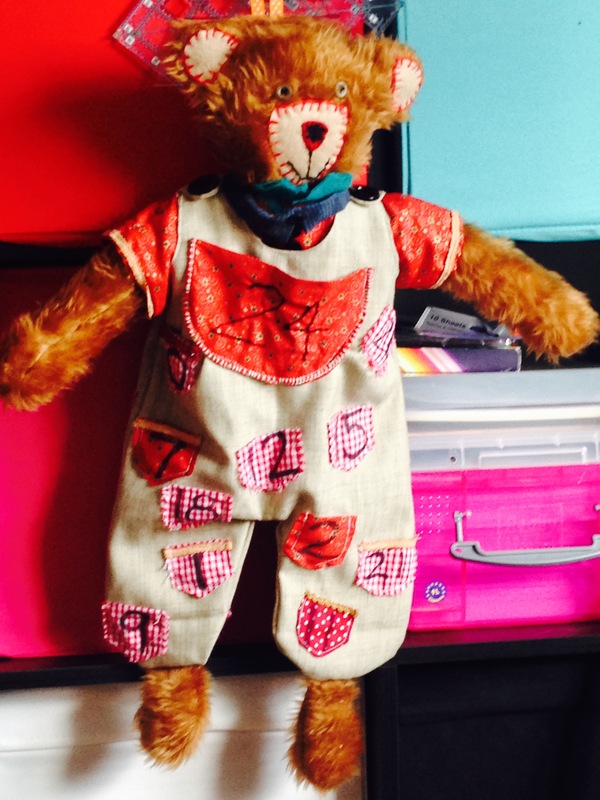 So, here is a quick catch up on some of my crafty moments. I really have been busy, honestly, doing lots of things but not taking the time to chalk up my finished projects or to enjoy my achievements. I have been making some things for friends, making things for the family, playing and dreaming and finishing projects that have been sitting around from way before Christmas. 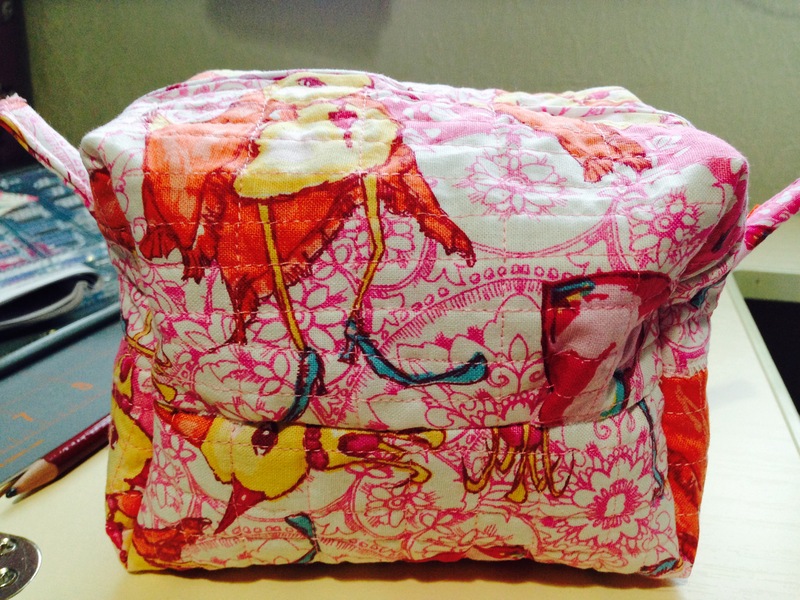 The cushion with the pink patchwork is made from a ‘well loved skirt’, you know the garments that you have great memories of, loved wearing and can’t bear to let go of? 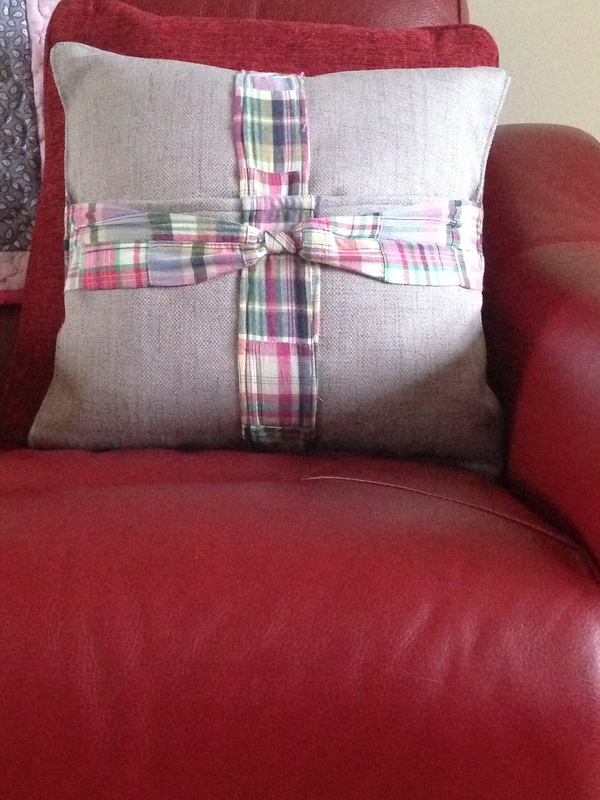 Well I repurposed the skirt to become a memory cushion, depending on what you like, one side is the back of the skirt, with pockets still in tack and the ‘bow’ is parts of the front of the skirt to add a splash of colour to the lovely heavy linen I used to give the cushion longevity and body. 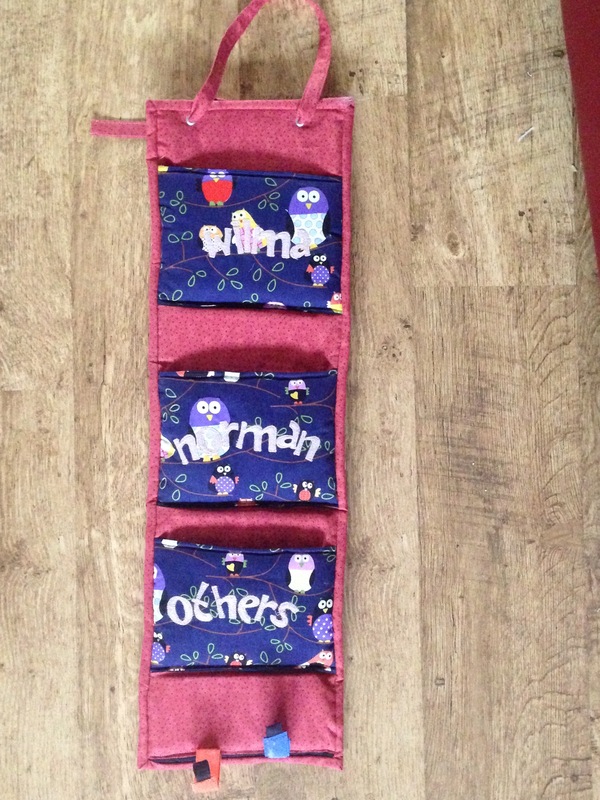 The letter hangar was an idea arising from a christmas card holder, its around 30″ long and 7″ wide and it has enough pockets to hold all those pesky letters and brochures until you can deal with them and its decorative enough to splash a bit of colour around without getting in the way. And I added two hook and loop or velcro strips to hang your keys on so they can be found (providing you remember to hang them up in the first instance!). 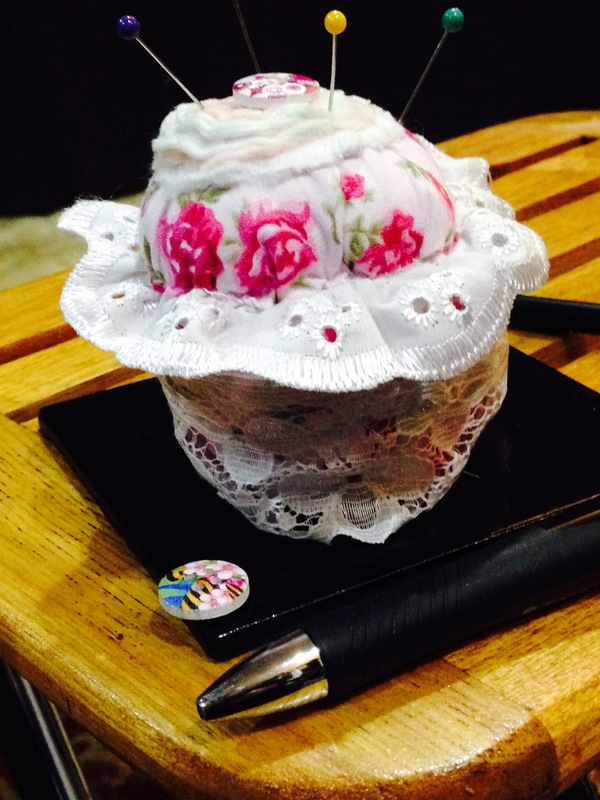 The tea cosy was something another friend wanted, yes, I know that you can buy red tea cosies just about anywhere, but this was crafted with kind thoughts and friendship and it was exactly what was wanted!. 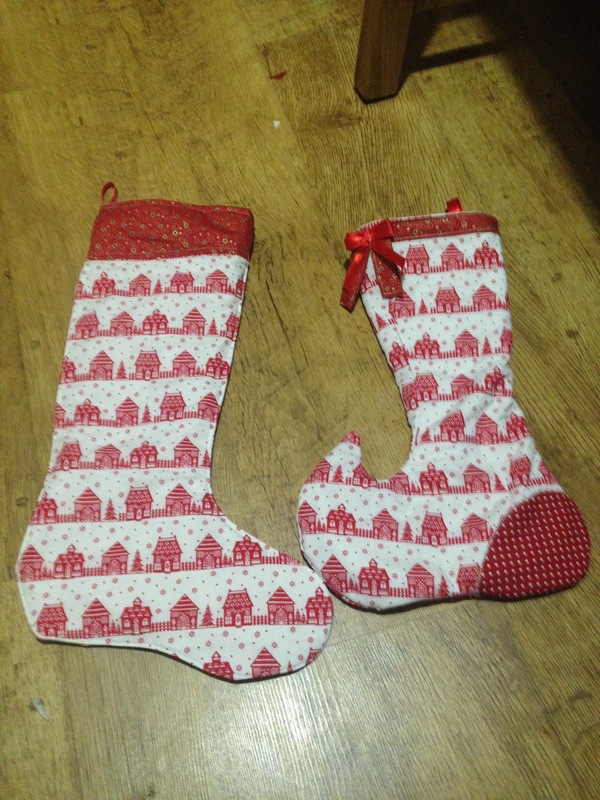 I found a book with lots of gorgeous christmas stockings in it so that was another aside and I must have made about 10 of them, brilliant fun! everyone got a stocking for christmas. Its been a strange month so far, in terms of celebrities we have lost David Bowie and Alan Rickman, both huge stars and favourites of mine so my crafting has been filled with music and film keeping me company while I remember these artists and sew, so who knows what influence it will have on my crafty works as the months unfold. I’ve not been idle just not posting so I’m making myself a promise to be better at sharing! Hope that I can get off the naughty step now! 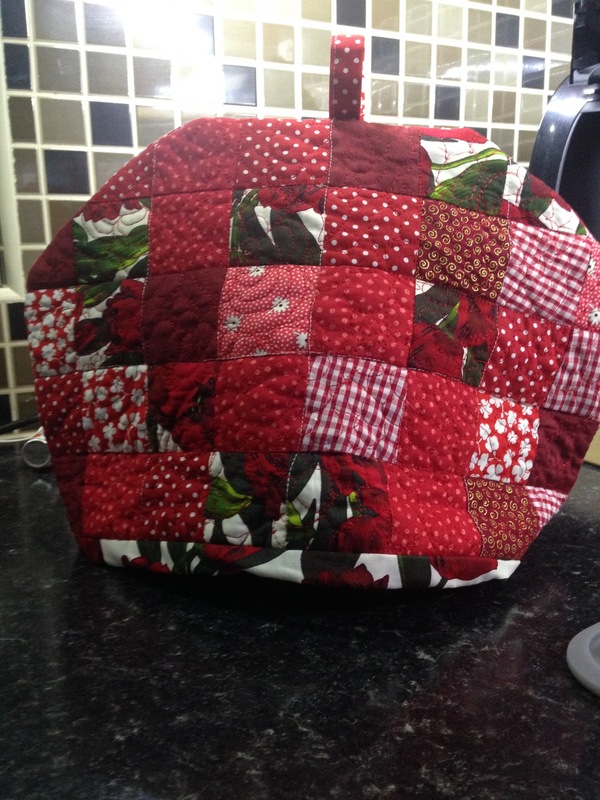 Oh and I almost forgot, I’ve signed up for another patchwork class, its not a tutored class as such, like minded people chatting and sewing, or not sewing, depending on the mood. New people and new ideas and a nudge to my comfort zone so watch this space……..
Do you know those days (weeks) when you just can’t see the wood for the trees and despite your best intentions you still keep starting more new things?? Consequently its getting a wee bit busy in the craft room. Can you just feel the sarcasm rolling of my tongue? 6 projects for a craft fair in October and I need to finish them for photography and the application form, table fillers for a fair in November, (this is so far down the line its not even on my shopping list yet)! 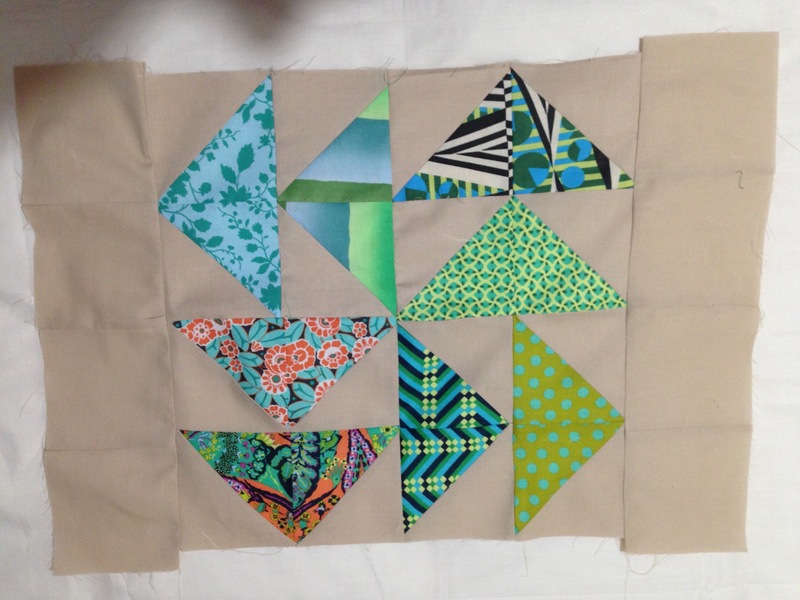 some quilts that I am (still) finishing and a list of things that I’ve yet to start, bunting, some baby bags and a quilt thats not even sketched yet to name but a few …….. 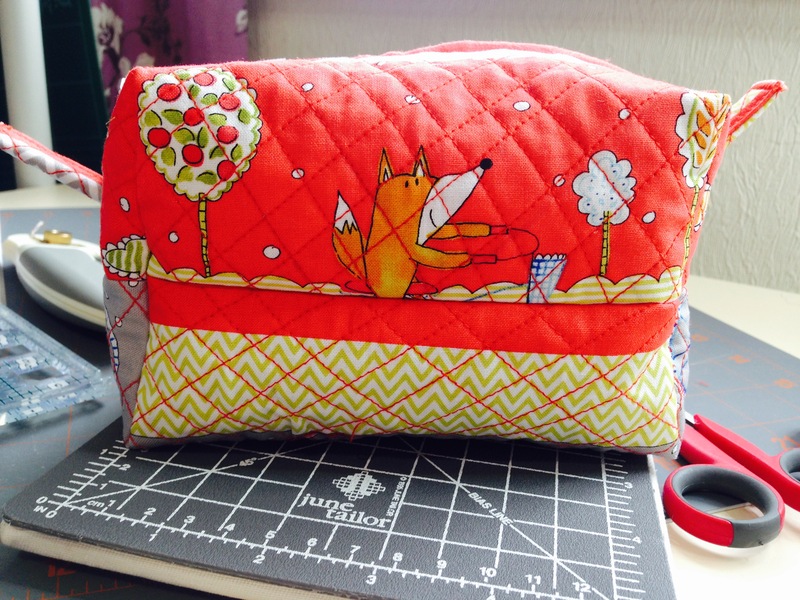 In some of those moments when I was happily procrastinating I had a wee play and using some yardage from a Craftsy sale box, I found a pattern and having a wee play I fell in love with these cheeky little bags and their plucky characters, Mr Fox and Princess Chick. I’m thinking of putting a few of them into upcoming fairs and I do hope they will be well received they are so cute, even if I say so myself. Then something a bit twee, how can you not love a cupcake? and this one won’t put a single calorie on your hips! another project, its time consuming, lots of hand sewing and its filled with those pesky plastic pellets to weigh down the base, what a painnnnnnnnn! What do you think? worth pursuing???? 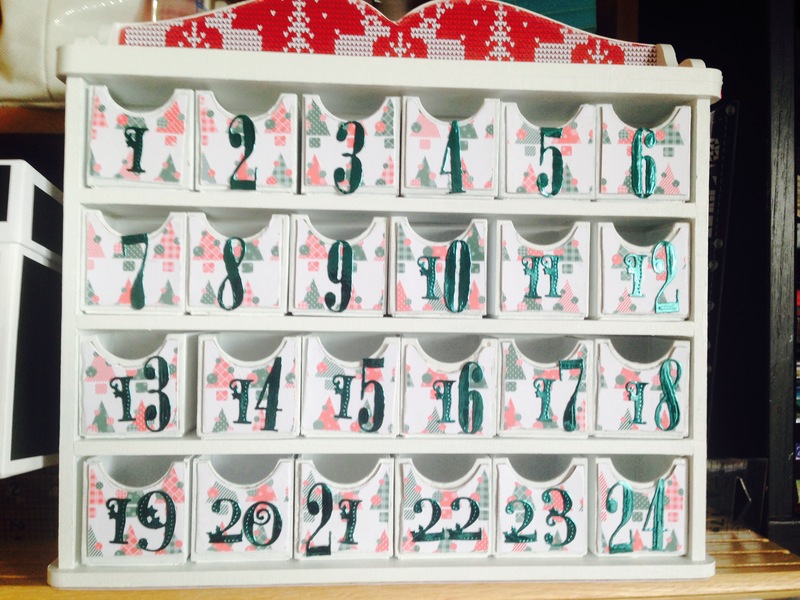 And then just to mix things up even more and to keep the creative juices flowing, I decided to make some Advent calendars. Tonic Studios had some great offers on Create and Craft and I do love a bargain so these fell into my basket and they were calling me from the side of the cupboard and I couldn’t help myself and just had to make a couple – to see how they turned out, you know how it is. I really need to concentrate. I have promised my self a huge clear up this week, I will see how it goes so watch this space x. 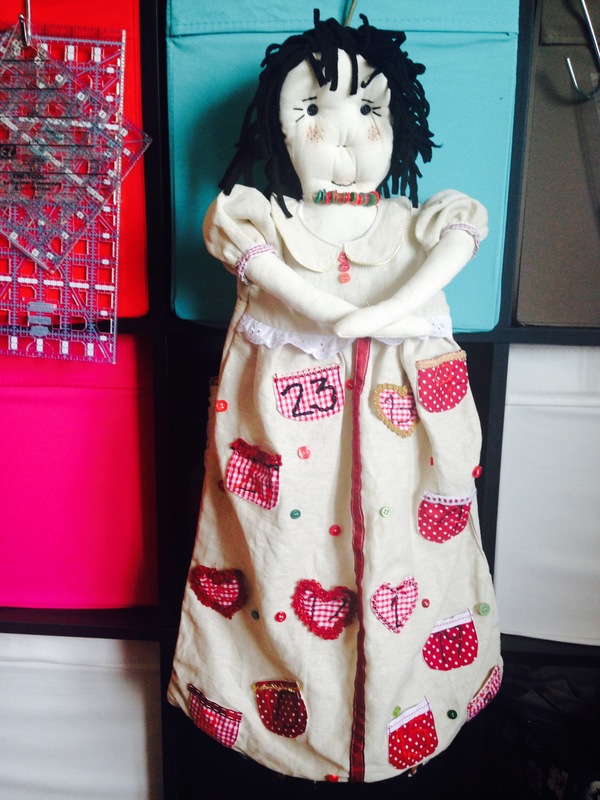 So much to do and So little time…….. 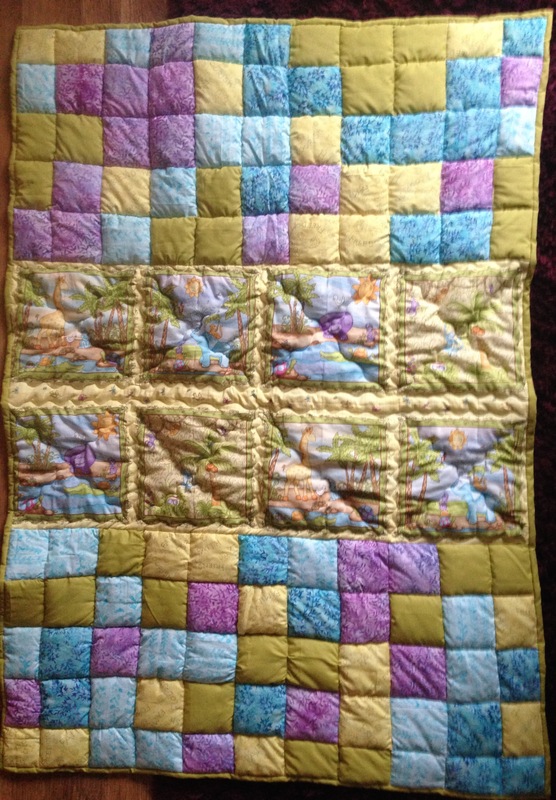 I made a gorgeous quilt, it was a design team make and I was given beautiful Amy Butler fabrics to create the blocks and colour pops. It was a colour palette that I would not have chosen myself so it pushed me right out of my comfort zone! 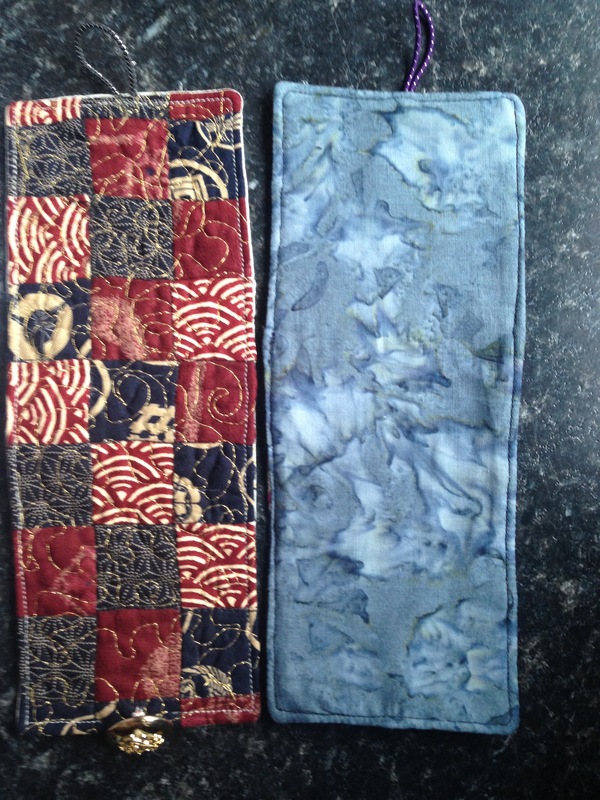 It’s for a magazine so I can’t share all the how to’s just yet but for a sneaky peak of the colours ….. yummy aren’t they? Then a had a wee trip into bag making, always a good place for me, it’s where I go when I need a distraction or something to occupy me. It can revive a flagging mojo, chase away the blues or simply give clarity to your thoughts with a familiar process and knowing that its something that you can do well. Having settled myself it was time to start another design team project, who doesn’t need a coffee sleeve? I drink that stuff by the gallon and enjoy every drop cause caffeine is my favourite thing, naughty I know! 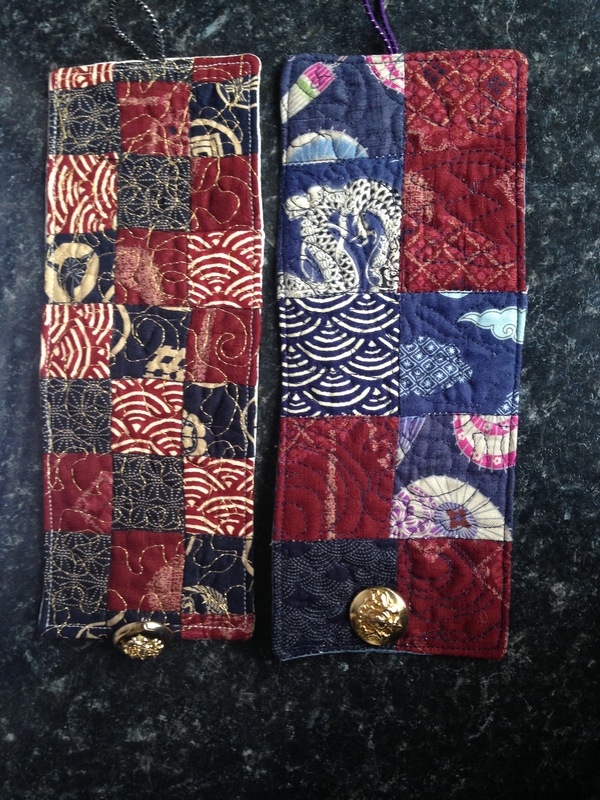 Having made and dispatched three coffee sleeves for the DT project, I carried on and made some more! These are simple and quick to make give you loads of room for your imagination and when complete, they fit into your bag or pocket easily so no more having to get your hands burnt when you are sipping your expresso. The coffee sleeves in the photo were made for some colleagues of my husband so they are not part of the design team project! Safe to snap and show and no secrets shared! So it was then time to tidy the craft room, it looked like a bomb site and was well beyond being an inspiring space. It took a day and a half to make it a tranquil and creative place for my next adventure. 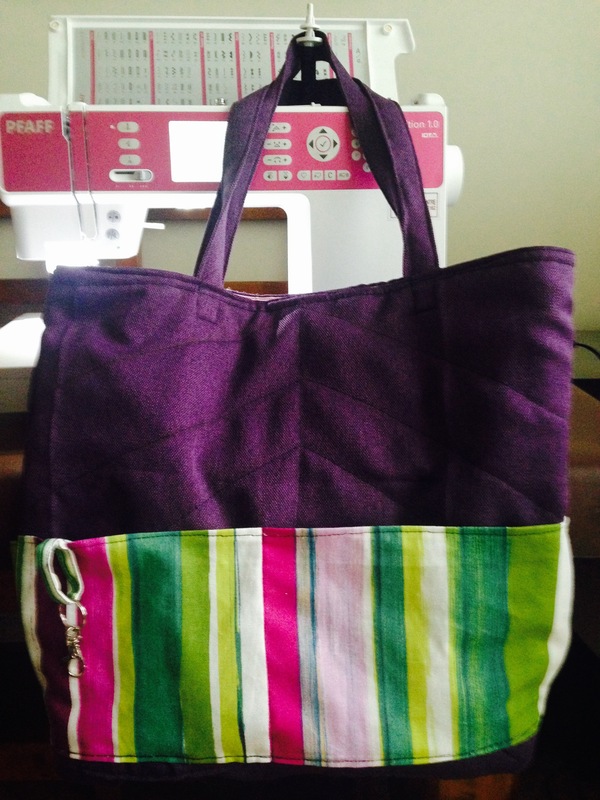 While tackling the tidy up I came across a couple of pieces of fabric, I haven’t a clue where they came from or when I ‘acquired’ them, but I love purple and I couldn’t help myself so yet another bag was born and this one is planned to accompany me on a few shopping expeditions! I had been watching Create and Craft and the lovely Mandy Shaw and her delicious Dandelion Designs http://dandeliondesigns.co.uk had a show, now, if you ever want some inspiration, head over to Mandy’s web site and feast your eyes on her great ideas. I couldn’t help myself and a few, well OK about a half-dozen patterns fell into my basket. 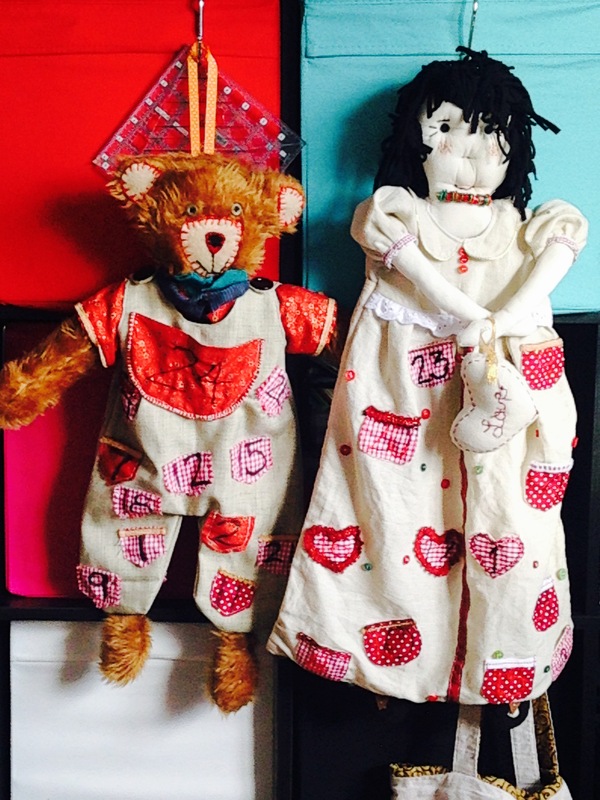 So last week I played and now you can meet Robin and Rosie, these advent lovelies are for two of my grandchildren. Really enjoyed these Christmas treats but from what I hear I better return to the land of shopping cooking and cleaning …….. Bye for now. Oh before I go, I am planning taking a table at a Craft Fair later in the year, what do you think would be most appealing to buy what should I concentrate on making ??? 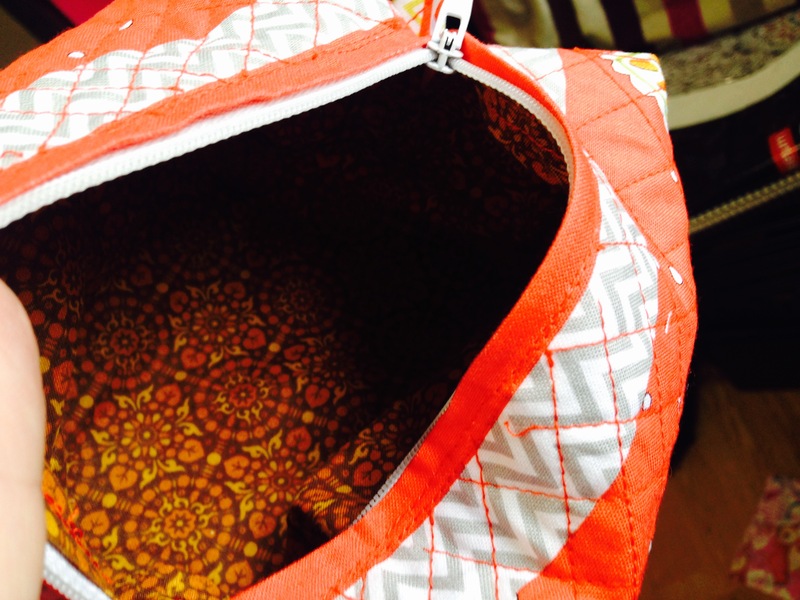 A tote bag! 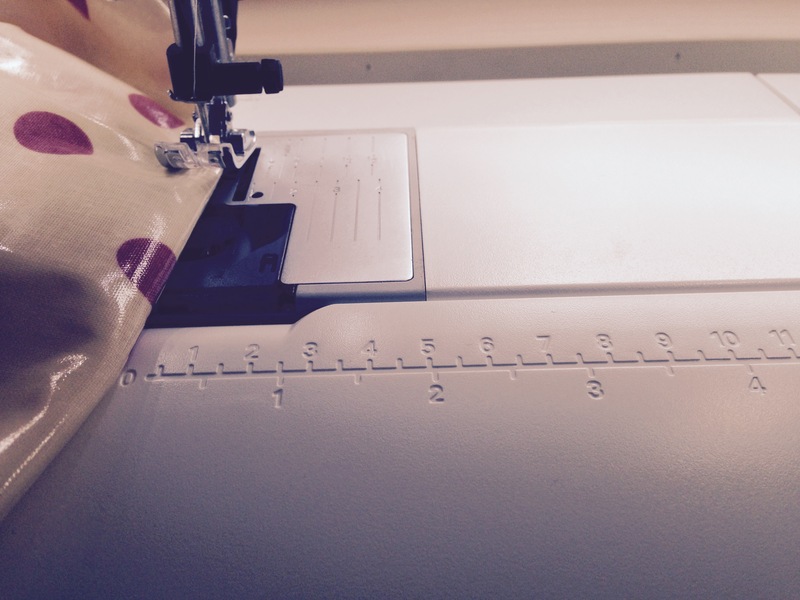 Always a good idea, always needed, and seeing that I had a new sewing machine just waiting to be used, any opportunity felt like a good one. 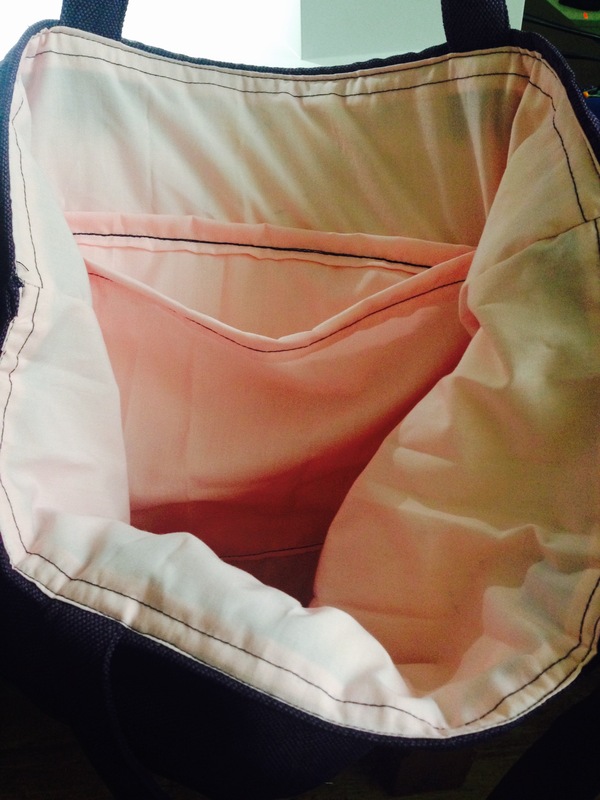 Couldn’t be easier, the fabric (thats the thing with oilcloth, what do you call it, its somewhere between plastic and cloth so I’m calling it fabric) well it was about 25″ deep by the width, 44″ I think. One strip cut at 4″ made the two handles, another strip was cut it was another 4″, the bag was then simply hemmed top and bottom, french seamed at the sides and finished with ‘sugar bag’ corners, finally a loop was added at the handle edge to clip on your keys, its such a simple add but how it saves a load of frustration when you are fishing about in the abyss of a bag looking for car or house keys to offload your purchases! Couldn’t be easier, nifty polkadots, one happy crafter. 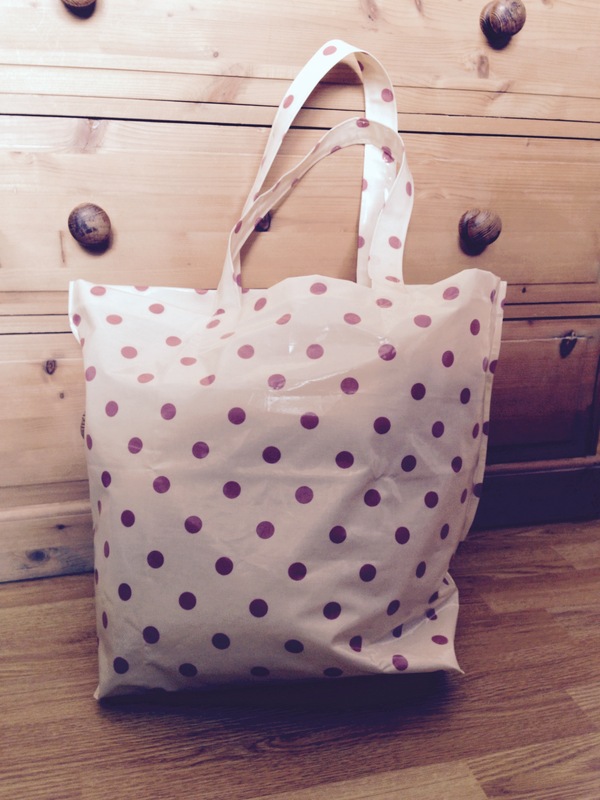 One happy daughter ….. she is away to the shops with a new bag for her purchases…..